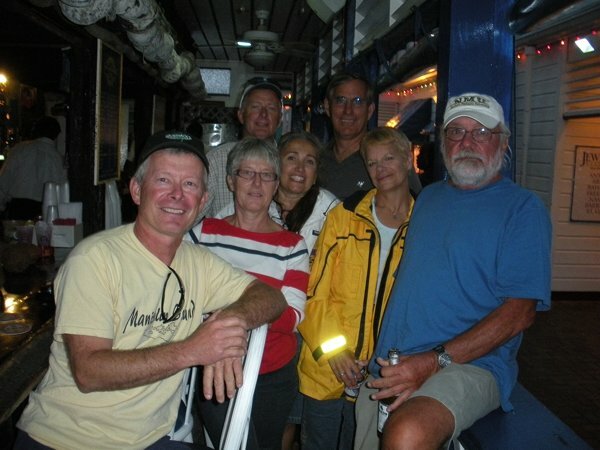 We’ll be leaving Lucaya tomorrow morning for Nassau a trip that will take us about 24 hours. Our plan at the moment is to spend about a week there before continuing south. Other than the ease of clearing in and the low price of the marina Lucaya doesn’t rank very high as one of our favorite places. The marina is a ways from town (not walkable) and the town caters to cruise ships. Not a typical Bahamian town. 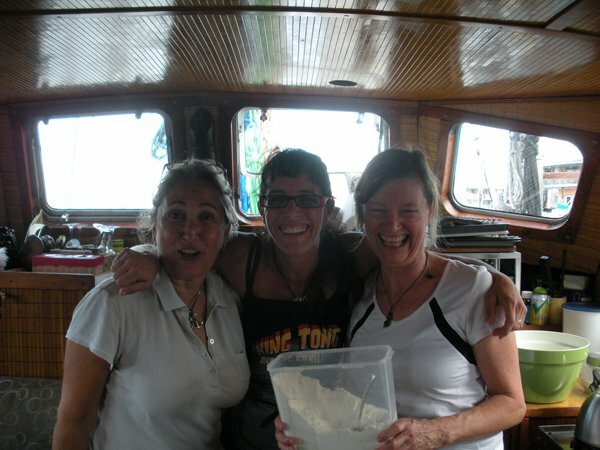 We had some idol time to fill so several woman got together on one of the boats to make bread. Here are the chefs, but I don’t know if this was before or after the buns came out of the oven. We did have a happy hour after the baking that featured several different types of fresh baked bread – very tasty. During our trip south from Washington DC we were often following a group of Canadians. 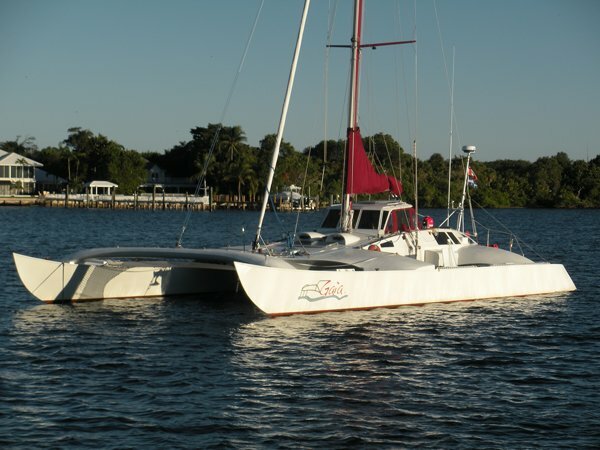 One of their boats was a very different catamaran that I failed to get a picture of. 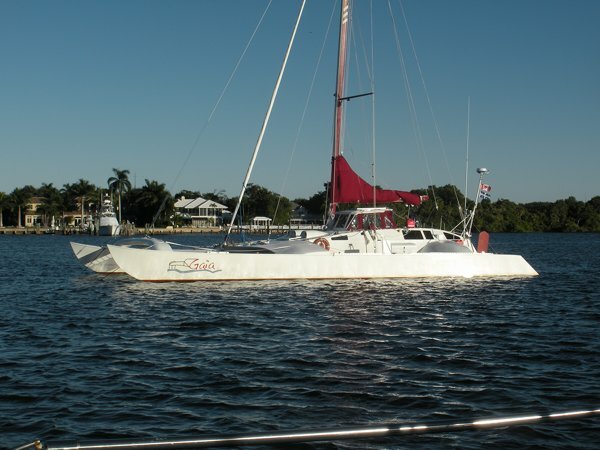 Just before we left the states for the Bahamas the catamaran anchored next to us. I don’t know anything about if, just that it looked like it could fly.